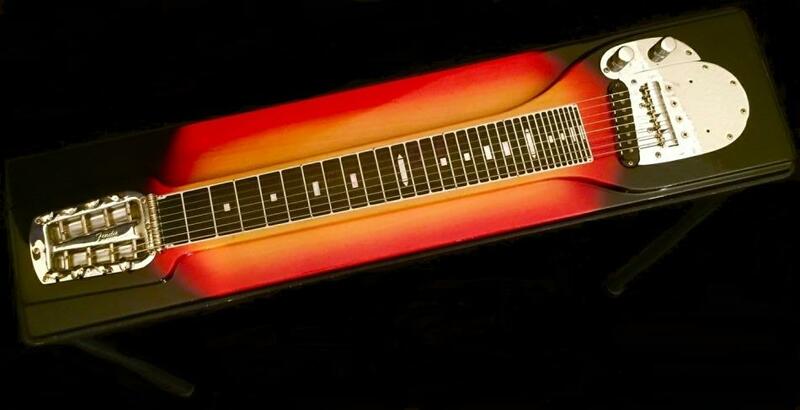 Originally invented in Hawaii, the lap steel guitar differs from regular guitars in the way it is played. A steel guitar is held across the lap and the strings are pressed with a bar rather than the fingers. Often the lap steel is not tuned in the standard guitar way. Hawaiian groups featuring steel guitars were a huge hit at the 1915 Panima-Pacific International Exposition in San Francisco. The popularity of the Hawaiian sound spread throughout the United States, and from around 1915 to 1930, major music publishers produced a large number of steel guitar methods and Hawaiian songs. Steel guitars were eventually incorporated into diverse styles of music, most notably the blues, country, and western swing. Occasionally, the lap steel guitar was employed in rock music, by the likes of David Gilmore of Pink Floyd, Steve Howell of Yes, and Joe Perry of Aerosmith. Their use, however, was limited as they used vary basic, open tuning and never fully delved into the amazing range of the instrument. Lap steels were seen more as a gimmick, a show piece, rather than a serious instrument. 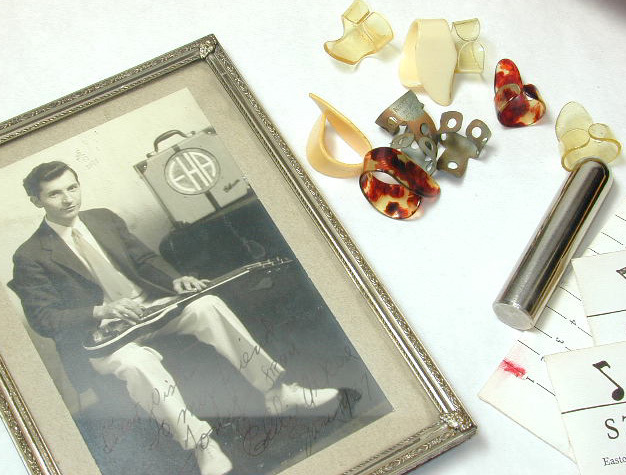 For an in depth history of the lap steel guitar, Brad's Page of Steel is an invaluable resource.